Who deserves Quality education the most? Why is quality education so costly? Why can’t poor families afford elite school? Because of the huge fees and humongous donations for infrastructure. duh. Everyone knows isn’t it. Can a school not charge hefty fee or donations, but still provide Quality education? If you are one of the many who wonder if its possible, then we want to show you something. A remote village in Tamil Nadu (13 km from nearest town, 53km from district headquarters) …. children from humble background whose Parent’s occupation is mostly daily wage agricultural laborers, weavers, drivers, mill workers, electrician, kirana store owners, etc, with dreams and hope. We don’t ask the parents to pay for the infrastructure cost. We get support from philanthropists and individuals to help our children get the best infrastructure and support. 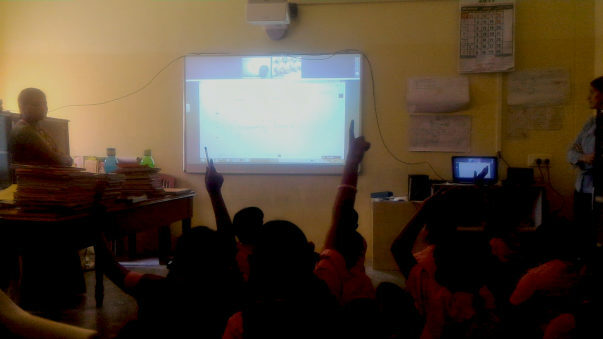 With the help of donors and well-wishers, we were able to enhance the learning experience of students by imparting computer education, use of tablets, English lab and SMART Class. 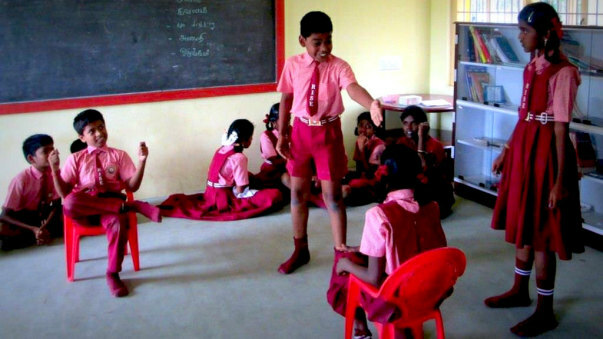 Students are also trained in Yoga, Karate, Bharatanatyam (classical dance), Athletics, Life skills, Gender equality and Agriculture with donors support. We partner with Teach for India (Firki), Pratham Education Foundation, AID India, Schools for equality to provide Quality of education. The cost of education is subsidized. Scholarships and free education is provided to children for poor families. Help us provide Quality education to more deserving children. Support us to construct Computer lab, library, science lab and classrooms for catering to more deserving children. Our building plans have the necessary government approvals (DTCP). Since our students come from very poor backgrounds, we cannot ask for donations from parents like other schools do. We require support from donors and well-wishers to meet the project cost. At present we have 12 rooms. Out of the 12 rooms, only 4 classrooms have the room area that meets the government standards. For getting matriculation approval, we need more classrooms with bigger area. The total cost of building 8 rooms (4954 sq. ft.) as per government norms = Rs.50 lakh. 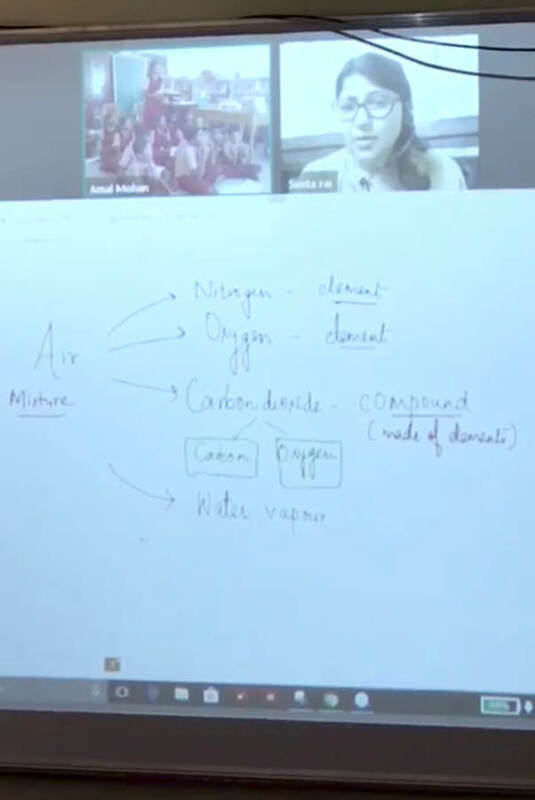 25 percent of the cost will be borne by the Founder and Chairman of the school Mr. R.Krishnan and 25 percent will be raised through institutional donors. With this Campaign we are aiming to raise an amount of Rs.25,00,000. 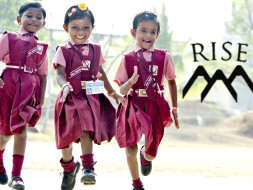 RISE India Trust was established in 2002 to provide quality education to children in rural India. RISE School was started as a Montessori school with 4 children in Samiyandipudhur village in 2003 by Mr. R Krishnan and Mrs. Geetha Krishnan and has 275 children at present until 7th grade. Both of them hailed from modest background and believed that the quality of education which they received was instrumental in reaching to the position which they were in and wanted to give back to the society where they grew up. Both of them started RISE India Trust and RISE School with their life savings to provide quality education at affordable cost to the rural children and provide equal educational opportunities as their urban peers. For more details, visit our Website and follow us on Facebook. RISE INDIA TRUST IS REGISTERED UNDER 80G OF INCOME TAX RULES. ALL DONATIONS MADE WILL BE 100% EXEMPT FROM INCOME TAX. We have received good support. But we look forward to continued support towards supporting our initiative to provide Quality education. Thanks whole heartedly for the supporters of our initiative. New classrooms have come up very well. Please contact us to visit us in person.